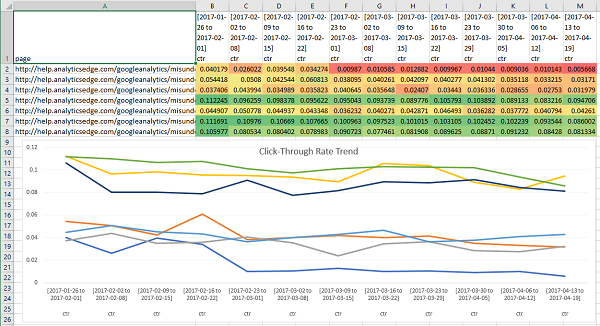 The updated Analytics Edge Connector for Google Search makes it easy to download the new Search Analytics data directly into Excel. You get access to all of the new Search Analytics metrics, crawler errors and sitemap information! This is the ultimate helper for Google Search Console! Read the article at Search Engine Land! The Analytics Edge Core Add-in or Standard Add-in make it easy to store your data offline! The Analytics Edge Connector for Google Search is available from any Analytics Edge Add-in.